Wine dinners are suddenly fashionable and one gets invited to a plethora of them. But one at Olio, the Italian restaurant at Novotel Juhu is special. 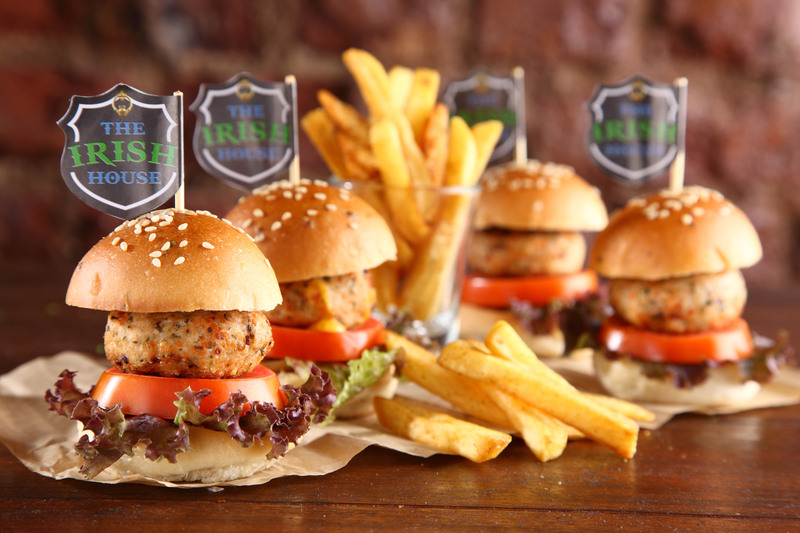 Reason : one gets to sample food prepared and created by the culinary wizard Executive Chef Ranveer Brar. Add to that wines from Chateau de Parenchere. Need I say more? And I wasn’t wrong at all. The evening was beautiful and the ambience at Olio even better- music, great company et al. Chateau de Parenchere blanc was the first wine we sipped. A refreshing fruity white. Just my type. 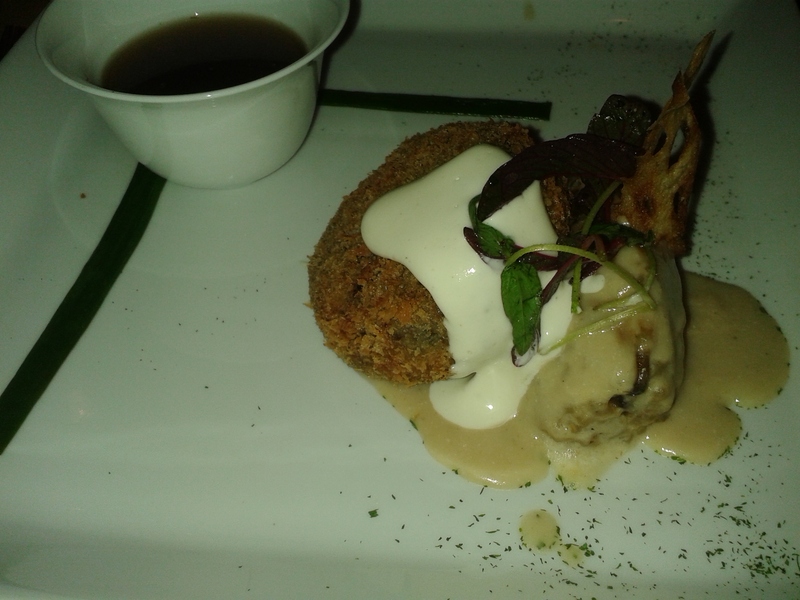 With it was paired a goat cheese tikki with tamarind and dressed with a chickpea salad. The tamarind was too overpowering for me and somehow did not compliment the goat cheese tikki which was in any case too cheesy(no pun intended!) and heavy. A tad disappointing. But clearly, the best was yet to come. Mushroom three ways could very well be the highlight of the evening. And it sure was. 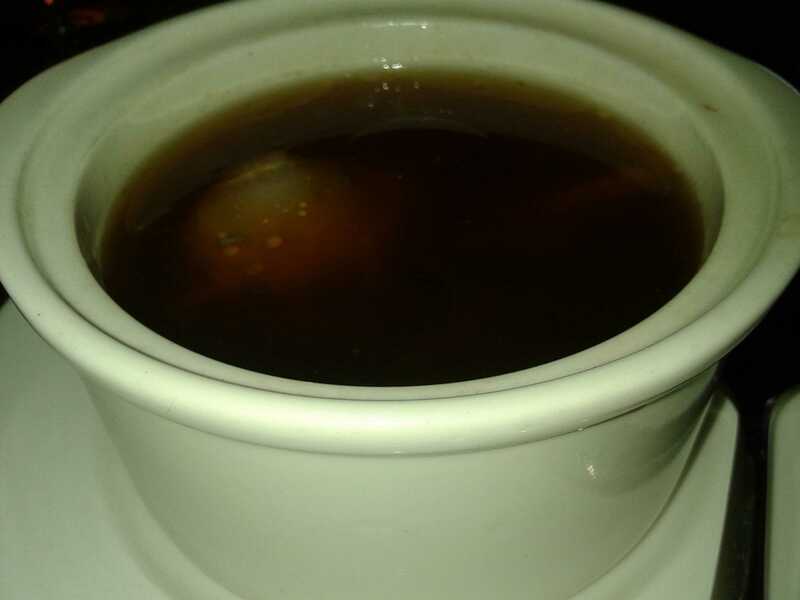 Mushroom tea, mushroom steak and mushroom risotto were a visual delight as were they on the palate. The textures and flavours blend perfectly well. The lure of a steak is always irresistible and this one, albeit made of mushrooms, was equally robust, smothered in a delectable sauce and did not let me down. The mushroom tea particularly caught my fancy as it was an interesting addition, I thought. An outstanding creation by Chef Brar. The full-bodied, Bordeaux superior with its spiciness, was a perfect match for this and they stood together cheek by jowl, complimenting each other and creating a riot of flavours in one’s mouth. The balance between the fruitiness and tannin in this wine, appealed to me. 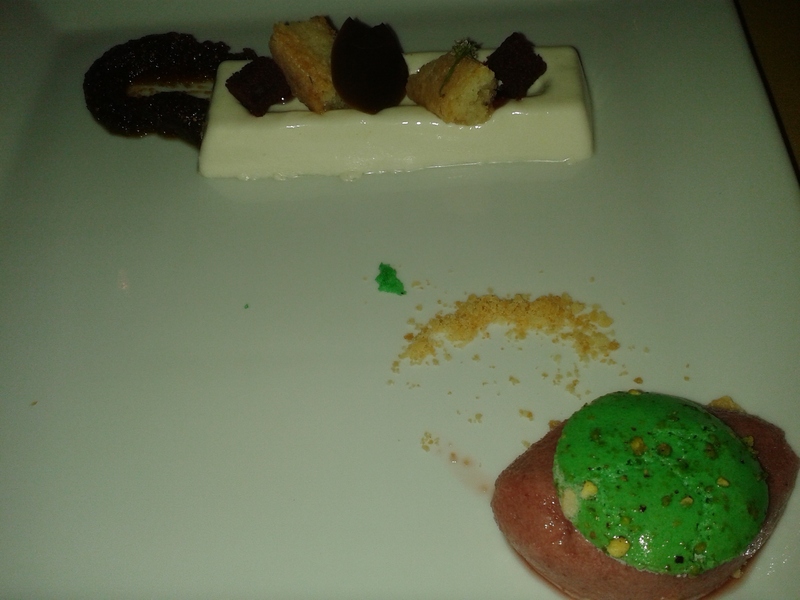 The panna cotta with rose petal nougatine and fig chutney wowed my palate like never before. Artistically presented the delicate flavours teased my taste buds and the melt in the mouth panna cotta was sheer delight. The consistency though, I thought could have been a little more creamier and firm. A bit too runny. I loved the dash of fig chutney which added the right amount of gusto to the dish as did the tangy cherry sorbet. The Parenchere Rose served along was well structured and full bodied. A lot more intense than usual ones and offered a unique experience with its strawberry and raspberry aromas. Being vegetarian for once was not a bad decision after all. considering Chef Ranveer’s versatility as a chef is evident in his vegetarian Italian fare too. A Celebration of all things Irish ! 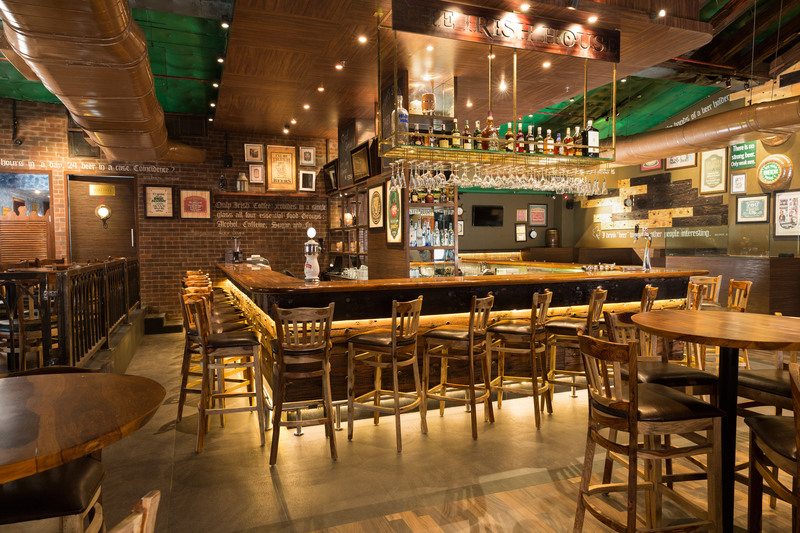 Irish House may keep opening outlets across the city of Mumbai, but each one continues to surprise you and has an aura of mystique about it. Stepping into one, never tires me. I was as gung-ho about exploring the Andheri West outlet, as I was when I had been to the first one in Lower Parel, several aeons ago. The characterstic décor and ambience greeted us. Teeming with people, this place was pulsating. It seemed oh-so! Familiar and yet new. Loved it from word go. Once seated, we settled for Drunken mushrooms. These oven roasted infused with tequila, topped with spinach, goat cheese n parmesan were the perfect beginning. 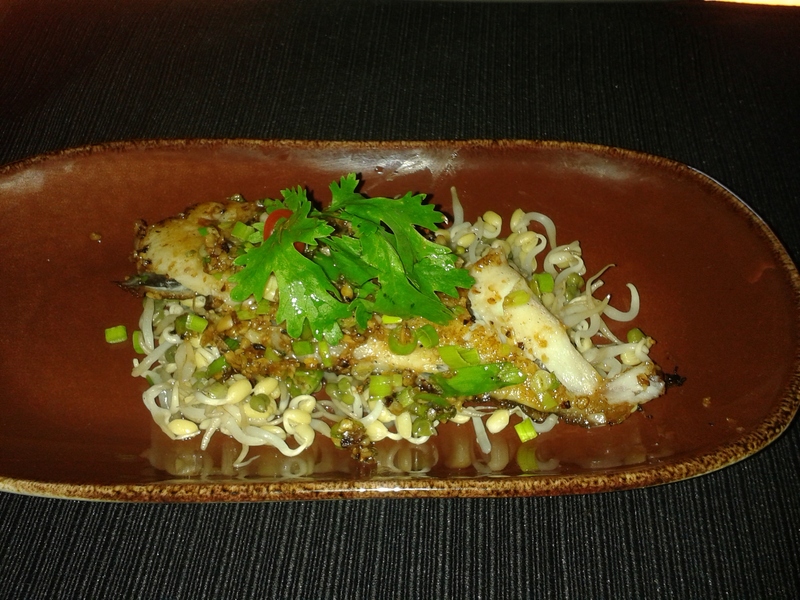 Absolutely melt-in-the-mouth and with an array of flavours and textures in one dish. we were ready for the evening. As I sipped my refreshing Kiwi & Lime Iced tea, I bit into the Wasabi japonica – rock shrimp tossed in wasabi mayo. Ooh! I was in for a huge disappointment. Gooey, doused in mayo, the shrimps had lost their taste, texture and flavour completely. Luckily the Irish Sergeant potato skins came to our rescue and revived our taste buds. The cheesy potato skins with corn, were familiar to my palate and I realised those were such a safe bet. Goat cheese salad came next. Warm goat cheese with kalamata olives, goat cheese, plum tomatoes n parmesan croutons, salads are my comfort food anyway and this one too proved to be just that. The crunchy salad with the tangy olives, soft creamy goat cheese and balsamic vinaigrette teased our taste buds sufficiently. My palate was cleansed and ready for the next dish. Traditional stuffed chicken in a pastry shell served with a rosemary merlot sauce indeed ended up being “our” chicken dish that evening and we were floored with it. Baked to perfection, the crispy pastry shell was an ideal complement to the chicken and the sauce added the right amount of flourish. We decided to share it as it seemed too big to relish alone. It was a sensible decision. After all the dark bottom Kahlua verrine was waiting for us. A treat for the taste buds, it was sinful as expected but not cloyingly sweet. A bit heady too, but just the right flavours. A winning combination. The menu of course is exhaustive with typical favourites like Smokie’s Lamb pie, hearty burgers, Fish n chips, Hunter’s penne et al. Each dish is value for money, robust and filling. That’s what appeals to me about Irish House. The sight of young people guzzling draught beers and enjoying themselves is common. Adds to the ambience actually. All in all, a great evening, with foot-tapping music, refreshing drinks and delicious food. I want to go back soon!